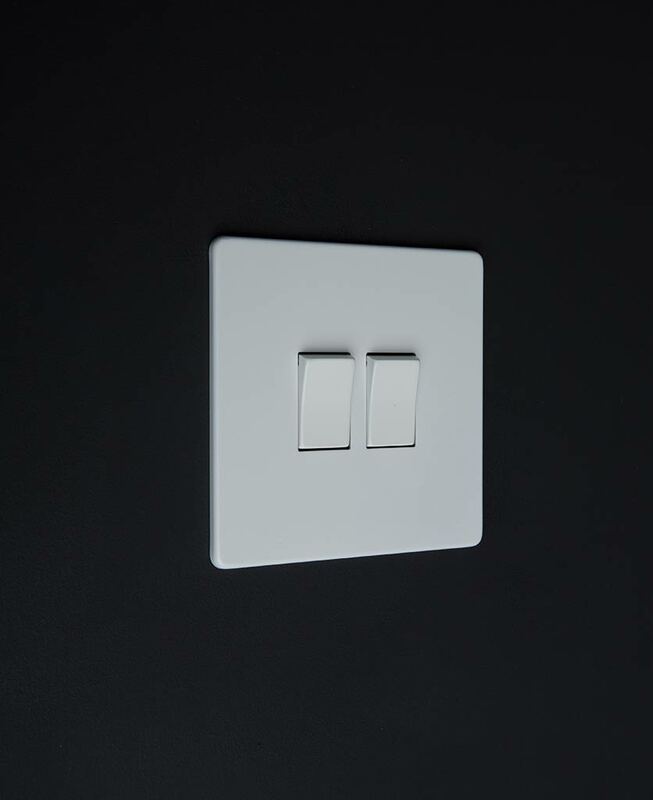 A white rocker switch is the epitome of minimalism. With a white satin plate and softly curved rocker switch detail, it’s just the thing for finishing off your contemporary interiors. A far cry from those chunky white plastic switches. Finish off your uber-chic spaces with a sleek white rocker switch. 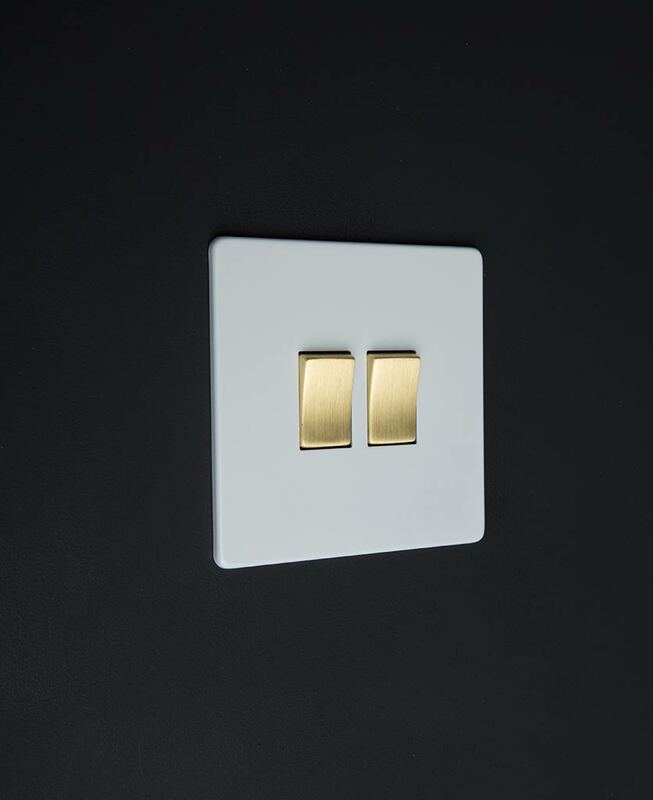 Created here at D&R HQ to add a designer flair to your interiors, this switch is understated, chic and minimalist. Everything you need to finish off your contemporary spaces. 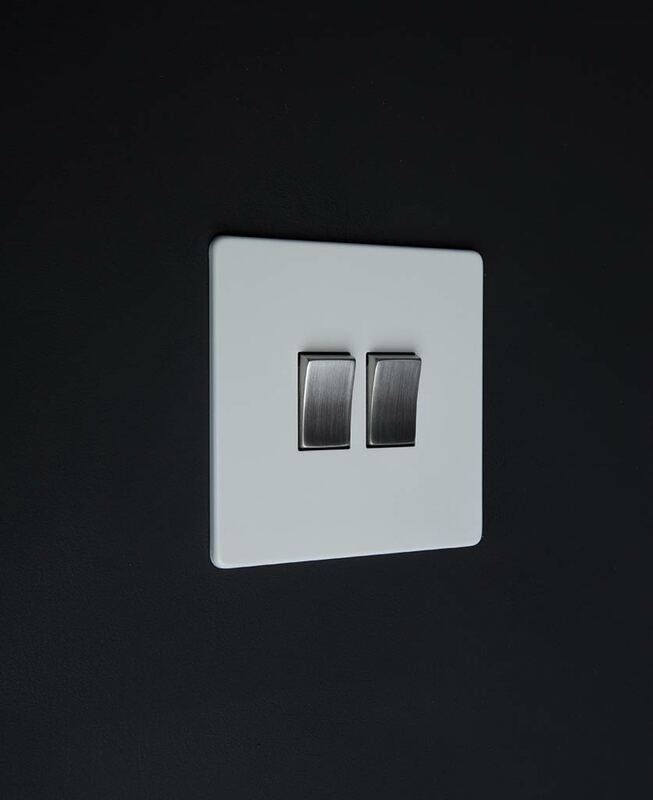 Featuring a matt white coated steel plate with concealed fittings, this stylish rocker switch fits flush to your walls for a clean and neat finish. Perfect if you’re a no-fuss kinda guy. This switch also has delicately curved rocker switch detailing in a choice of colours. Choose from white, silver, black or gold to coordinate with your interior style. Making up part of our ever-growing white switches and sockets range, this white triple rocker switch can be coordinated with toggle switches, plug sockets, appliance switches and data ports to finish off your interiors to an exceptional standard.